The current U.S. 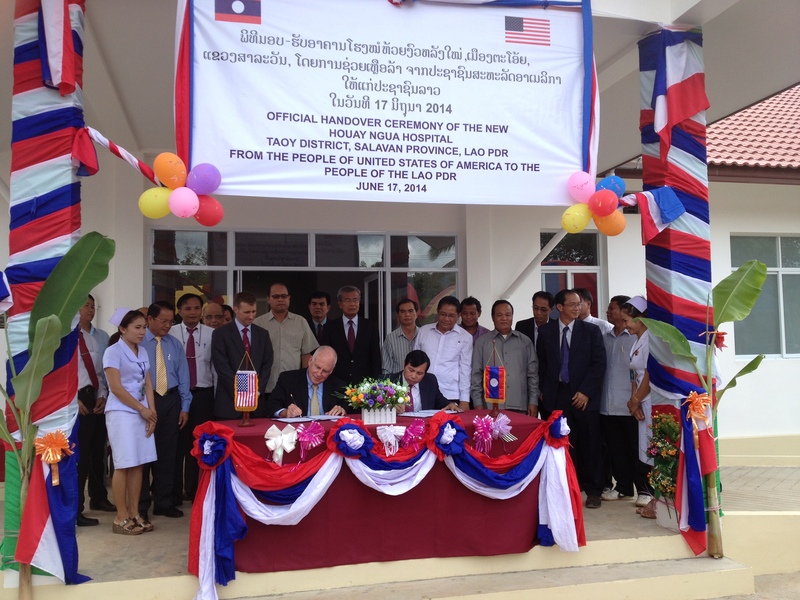 Ambassador to the Lao People’s Democratic Republic (PDR) is Daniel A. Clune. He is a graduate of Boston College and UC Berkeley Law School. Ambassador Clune joined the U.S. Foreign Service in 1985 after practicing law for 10 years in Chicago. His impressive background includes the following roles: U.S. State Department Office of Economic Policy and Public Diplomacy Director, Deputy Chief of Mission and Chargé d’Affaires at the U.S. Embassy in Nassau, Trade Advisor at the U.S. Mission to the Organization for Economic Cooperation and Development, and Director of Middle East and Mediterranean Affairs at the Office of the U.S. Trade Representative. He also served at the U.S. embassies in Lima, Peru and Jakarta, Indonesia. More recently, he held appointments as the Principal Deputy Assistant Secretary in the Bureau of Oceans and International Environmental and Scientific Affairs, Deputy Chief of Mission and Chargé d’Affaires at the U.S. Embassy in Canberra, Australia, Director of the U.S. State Department’s Office of Monetary Affairs, and Head of the U.S. Delegation to the Paris Club. Ambassador Clune makes periodical trips to the U.S. throughout the year. This October he visited with California’s Elk Grove City Councilman Steve Ly, local community leaders and members of the former refugee community from Laos. The dinner meet-and-greet centered on economic progress and tourism between the U.S. and Laos, and he listened to Laotian refugee success stories. Laos became the most heavily bombed country per capita in the world due to its involvement in the Vietnam War. As a result, several tons of unexploded artillery were left behind, injuring countless Lao men, women and children. The United States and Laos continue to work on unexploded ordnance (UXO) cleanup. 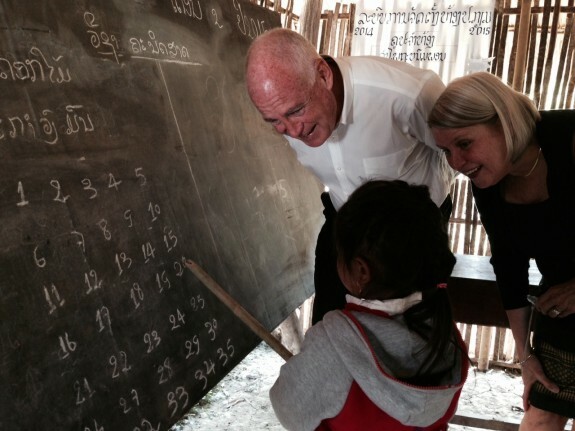 “We have increased our funding, in fact, tripled our funding in the past several years, from $5 million per year to $15 million for primarily the clearance of UXO, but also for risk education, especially to children about the dangers of UXO, and assistance to victims,” noted Ambassador Clune. The number of annual UXO victims have decreased over the last few years from a high of 300 to 50, but he says the U.S. is committed to continue funding this initiative in the coming years. Ambassador Daniel A. Clune celebrating the official opening of Coca-Cola’s new bottling plant in Vientiane. According to a recent World Bank study, the Lao PDR is on its way out from being classified as a “Least Developed Country” by 2020. Ambassador Clune says he is seeing a larger increase of foreign investment in Laos, especially from China, and in the areas of commercial real estate, agriculture plantation, and resource extraction projects. He says Japan has also entered in the Lao manufacturing sector with Toyota opening a new assembly plant in Savannakhet. 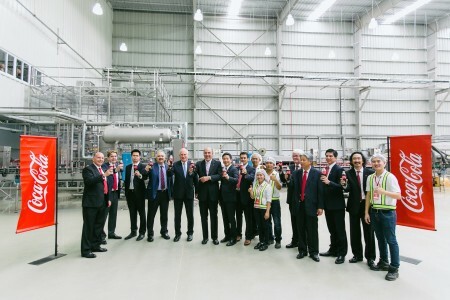 The Coca-Cola Company opened a bottling plant in Vientiane which services Laos and northeastern Thailand. The Ambassador said with an improved Lao economy, foreign investors see opportunities in infrastructure advancements, fair labor costs, and political stability. “Almost half of children in Laos are stunted, which means that they are too short for their age, and that means that they are not getting enough nutrition to grow physically and mentally.” The United States and Lao Ministry of Health are working closely together to address serious malnutrition issues. The Ministry will partner on malnutrition efforts via a two year $9 million U.S. Agency for International Development (USAID) program and the new Lao American Nutrition Institute. The USAID and the McGovern-Dole International Food for Education and Child Nutrition Program (IFEP) from the U.S. Department of Agriculture will enhance food security and enable children to increase school attendance countrywide. The programs are funded at $27 million over the next three years. Communicable diseases such as malaria, HIV/AIDs, and polio are also being addressed aggressively. “As a result of the McGovern- Dole Child Nutrition Program a principal recently told me that School attendance at her school in Laos has increased from 60% to 98%, and there are plans to build more schools targeting rural areas.” He noted about 205,000 children in Laos have benefited so far. In an October 2015 visit to New York, Lao President Choummaly Sayasone met with U.S. President Barack Obama. During that visit, Ambassador Clune said President Sayasone formally invited President Obama to Laos as part of his trip to the Association of Southeast Asian Nations (ASEAN) summit in 2016. President Obama accepted the invitation, and his visit would make him the first U.S. president to visit Laos. Ambassador Clune enjoys his time in Southeast Asia. In his spare time, he enjoys drinking Beer Lao, eating homemade sai oua (Lao sausages) from Luang Prabang, and running and biking along the Mekong River. In light of his busy schedule, it was an honor to share a few moments with him during his stop in the U.S.